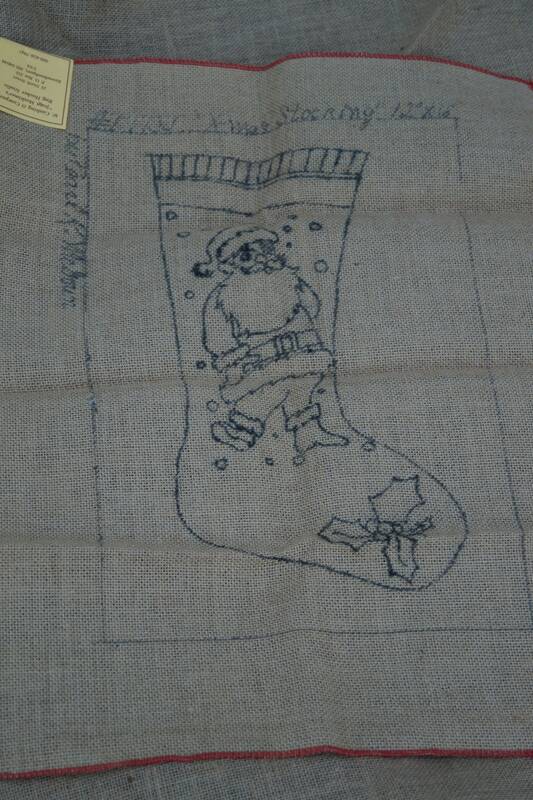 Santa Christmas Stocking stamped on burlap or monk's cloth. 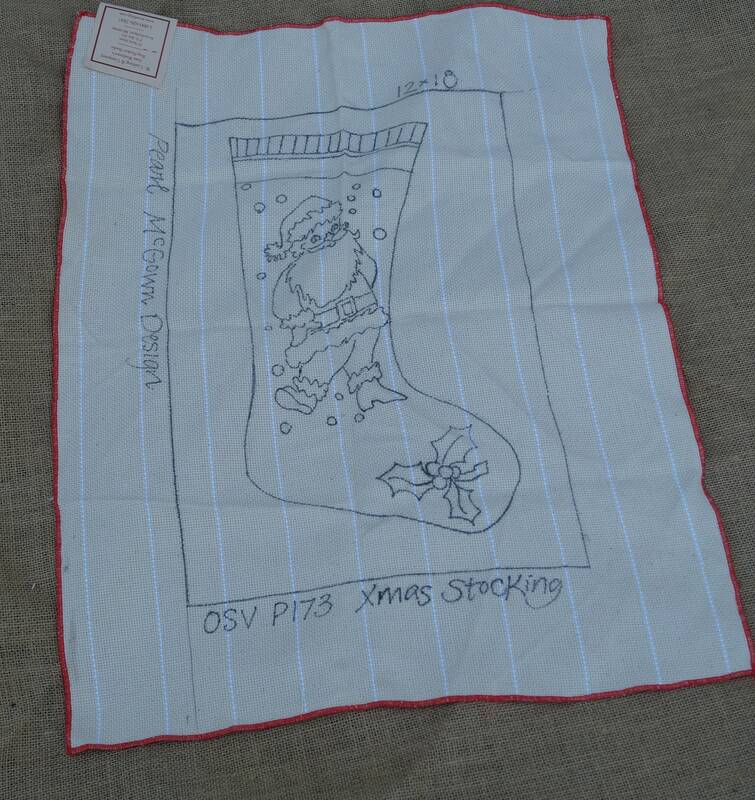 Pearl McGown Design. Backing only. Edges are bound. The burlap is the darker backing and the monk's cloth lighter color.